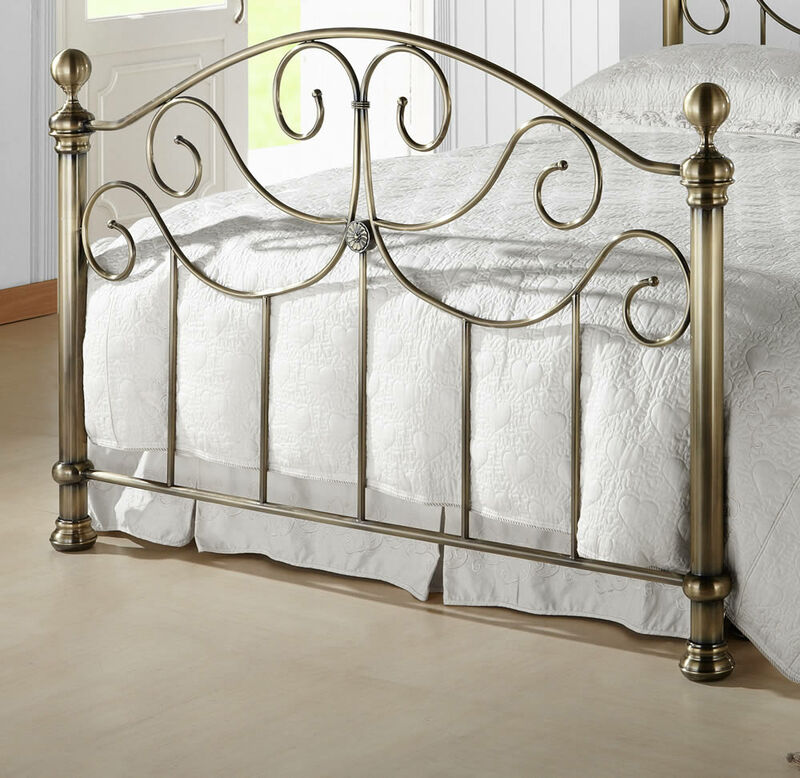 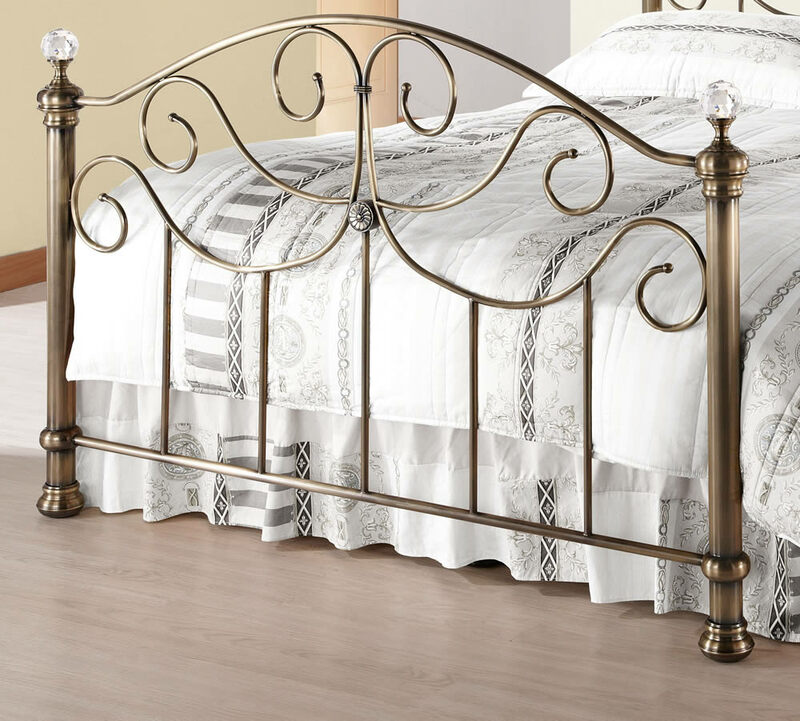 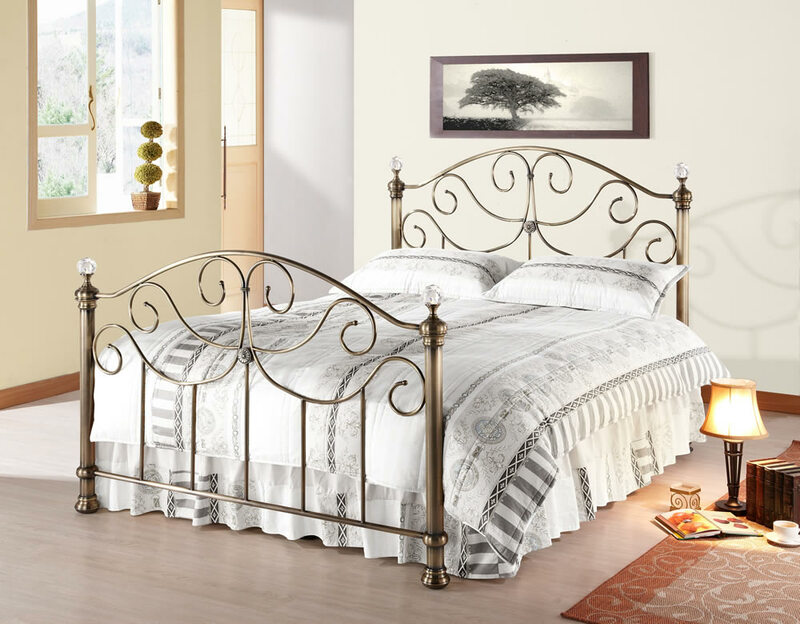 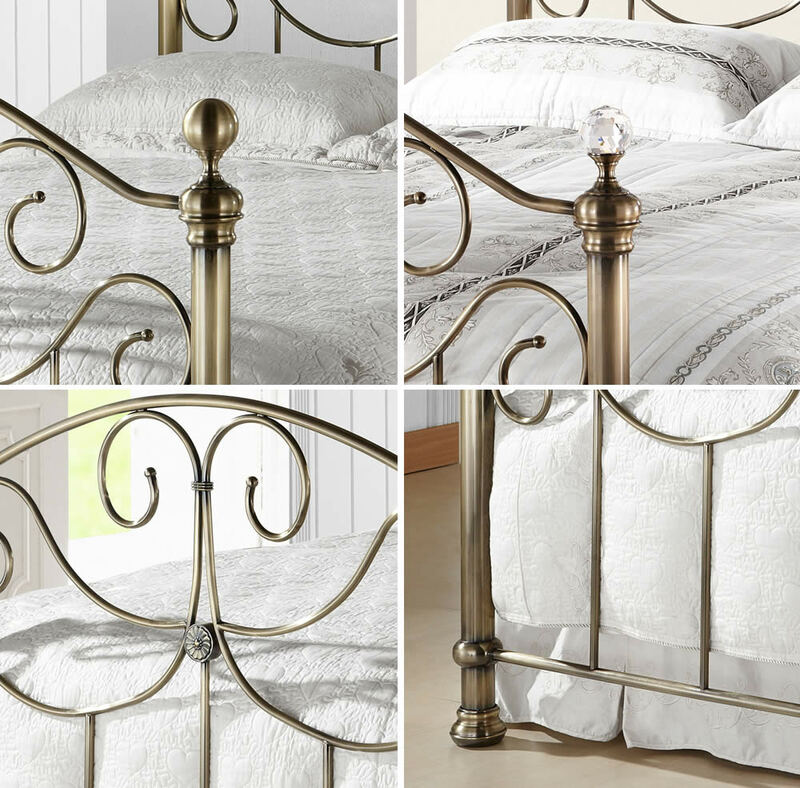 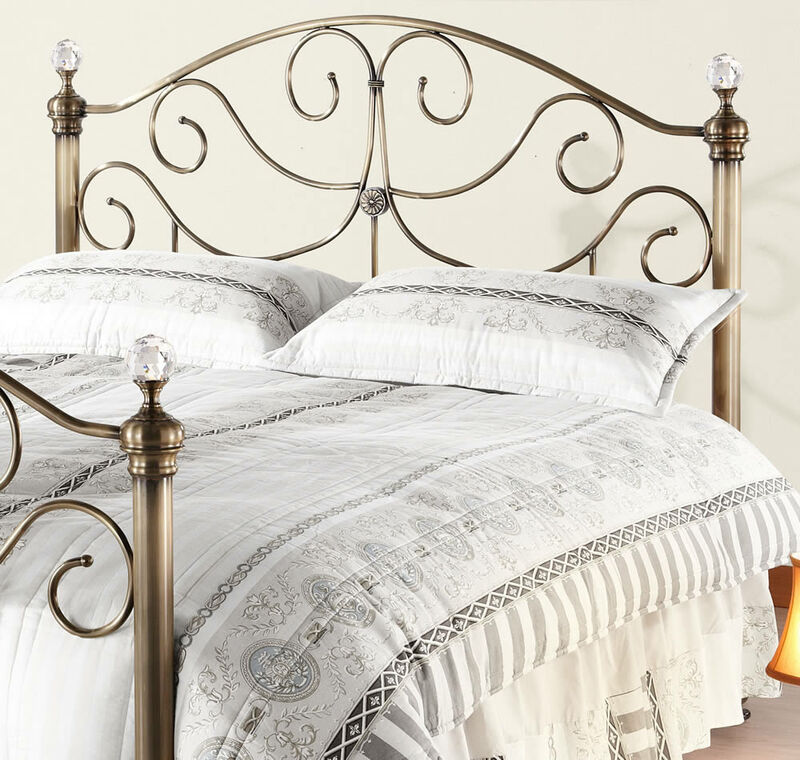 The Time Living Victoria metal bed frame comes in an elegant antique brass finish, features a robustly designed internal frame and is available in UK double size. 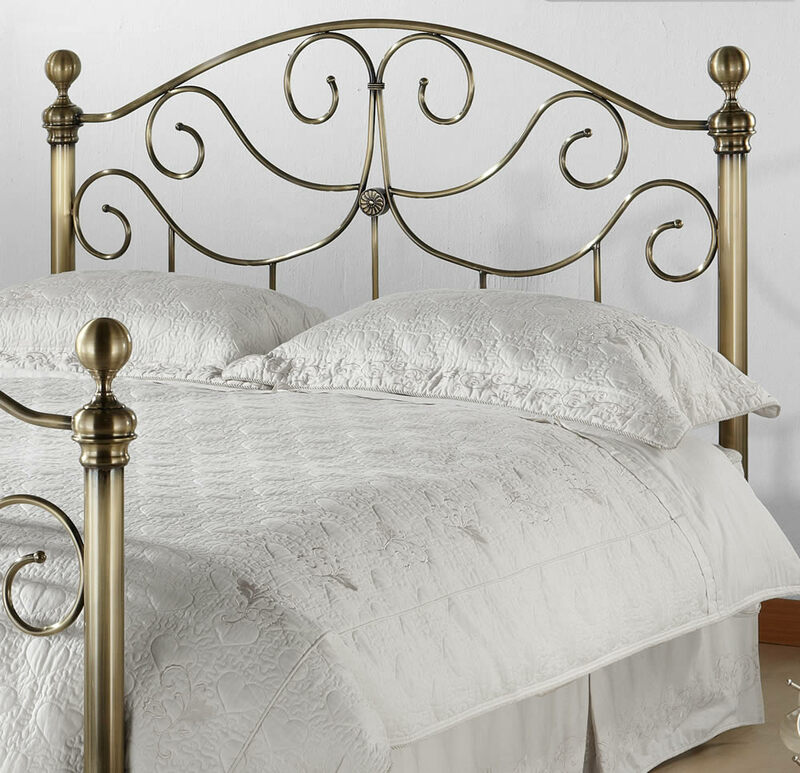 A Victorian style brass effect bed frame with traditional high head and foot boards with both containing straight and curved spindle detailing and Chrystal finials. 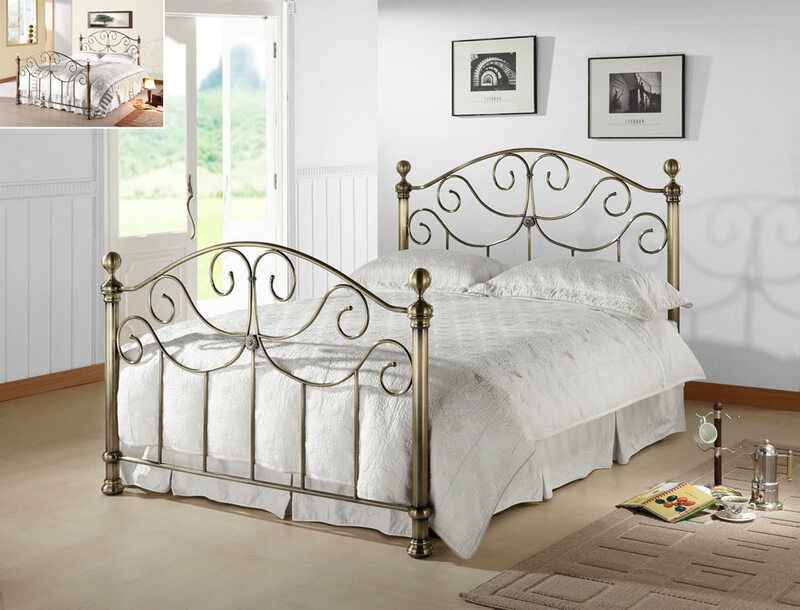 The sturdy frame does not require a centre support leg and offers additional comfort with a modern sprung slatted mattress base.